Another one off my bucket list! I finally got to see Lake Sebu. I have been wanting to visit this place for the longest time. I even tried going there alone last year. My friend's stories about this placid lake in the Allah Valley of South Cotabato and its tribe, The T'bolis, got me interested. There was also this movie K’Na, about a T’boli woman who became a dreamweaver. Plus, I wanted to meet L’ang Dulay, a T'boli conferred the Gawad Manlilikha ng Bayan (GAMABA) award in 1998 for her high quality t’nalaks. So, when Izah Morales of Explore8 posted early this year about their planned SOCSARGEN tour, I immediately decided to join. It was my first time to join Explore8, or any local tour agency, and it was a really pleasant experience. 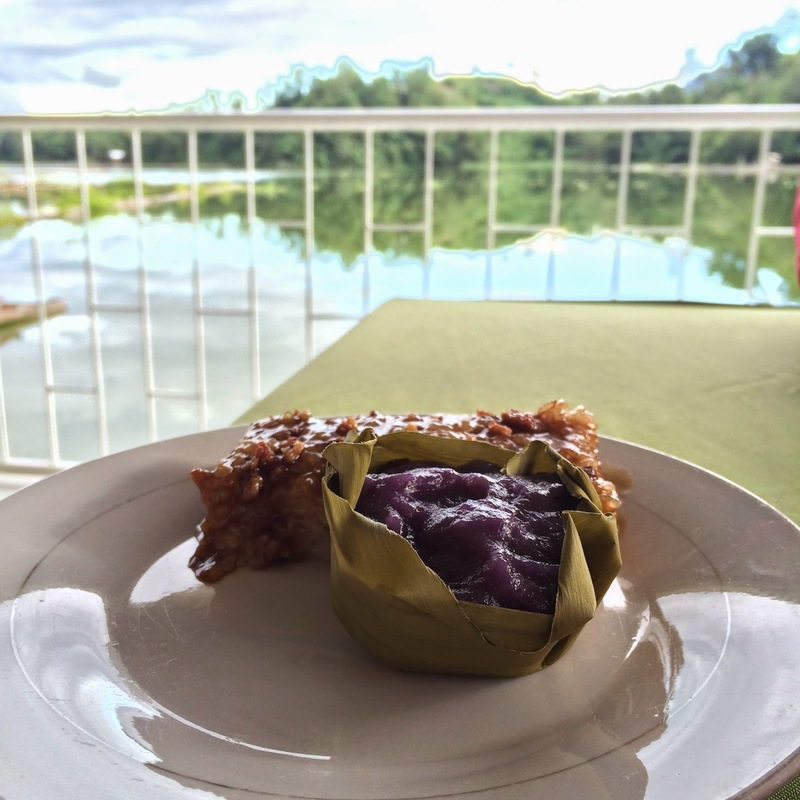 I got to see Lake Sebu, meet Be L'ang Dulay and buy myself a T'nalak. Plus, I also experienced a lot more about this soulful region. 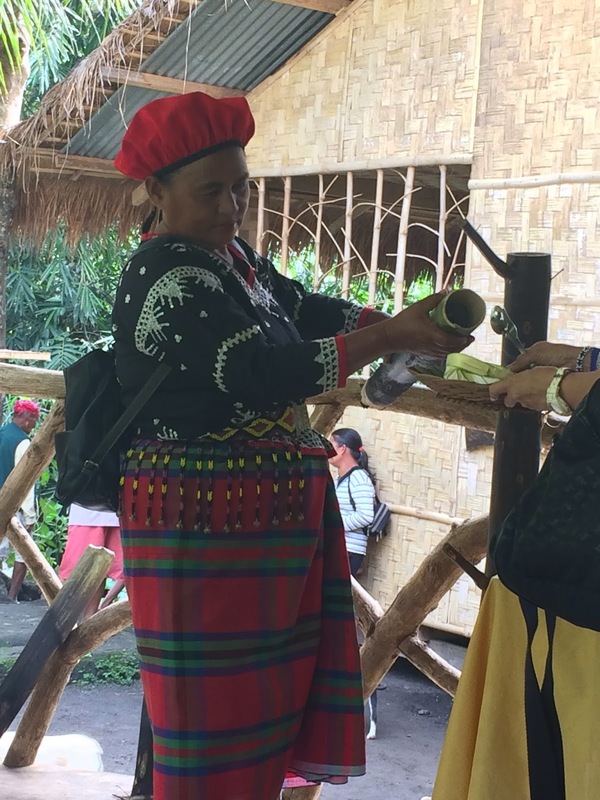 Our first stop in South Cotabato was the T’boli Museum, which was set-up by former Lake Sebu Vice Mayor Bao Ba-ayto to preserve and showcase T’boli culture. 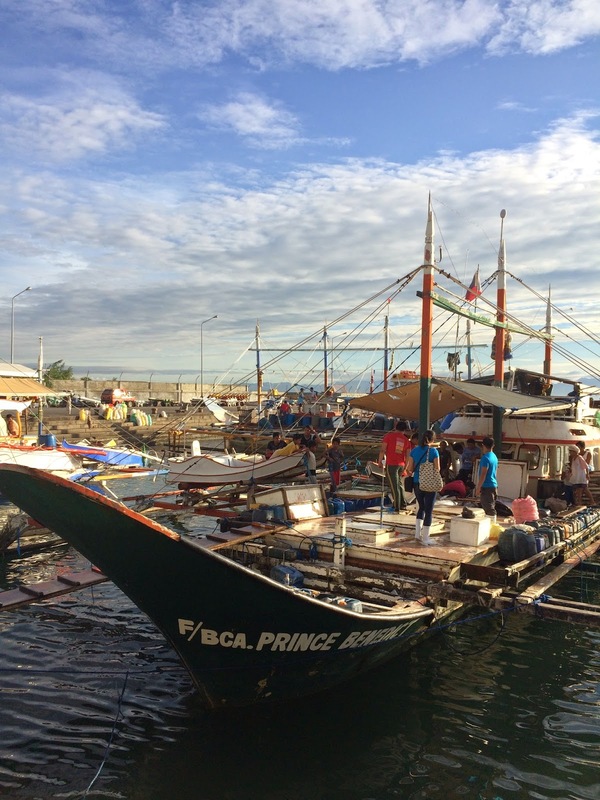 We arrived mid morning after a two hour trip from General Santos City, where I met the rest of group. We all took the early morning flight from Manila to General Santos City and had breakfast at Mt. Sabrina Resort, where Izah conducted her briefing for all her guests. 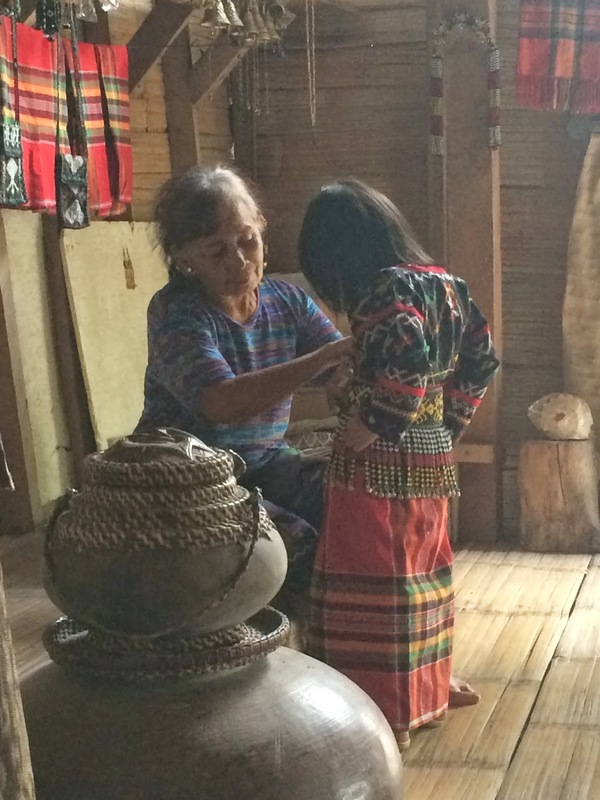 It was my first time to step inside a T’boli house and I really like the layout. The sides are elevated and the lower central space is perfect for activities, like weaving. The windows open outwards and serve as shelves or hanging-out place during the day. 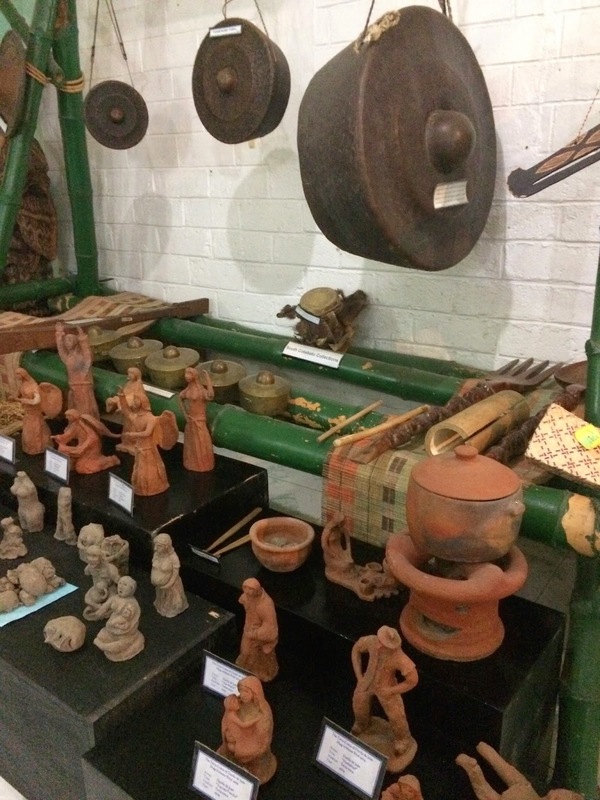 Memorabilia and artifacts are displayed at the museum. 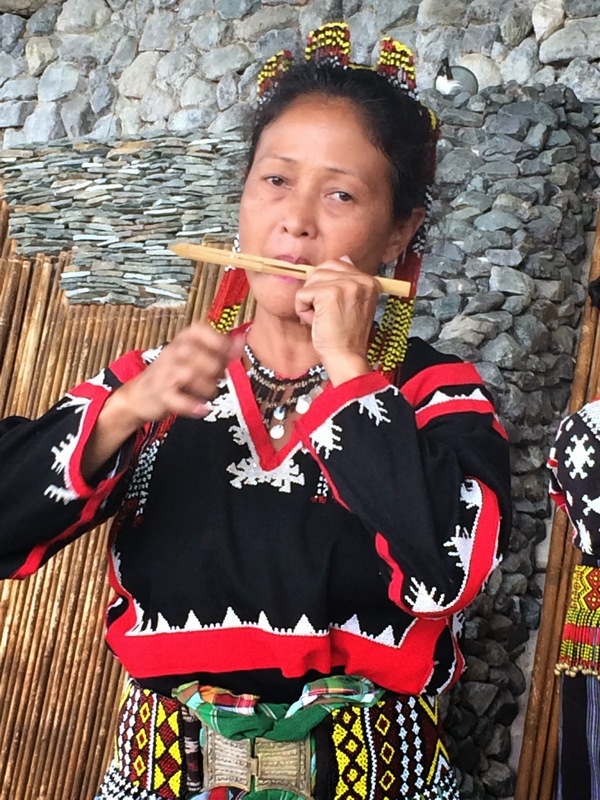 After an introduction about the T’boli heritage, we were treated to traditional music and dance. The street where the museum is located leads to our hotel so that was where we proceeded next. That was where I had my first sight of Lake Sebu and it was as beautiful as I expected. Over lunch, we were entertained by a group of dancers. Among those they performed, the last was the most fascinating. 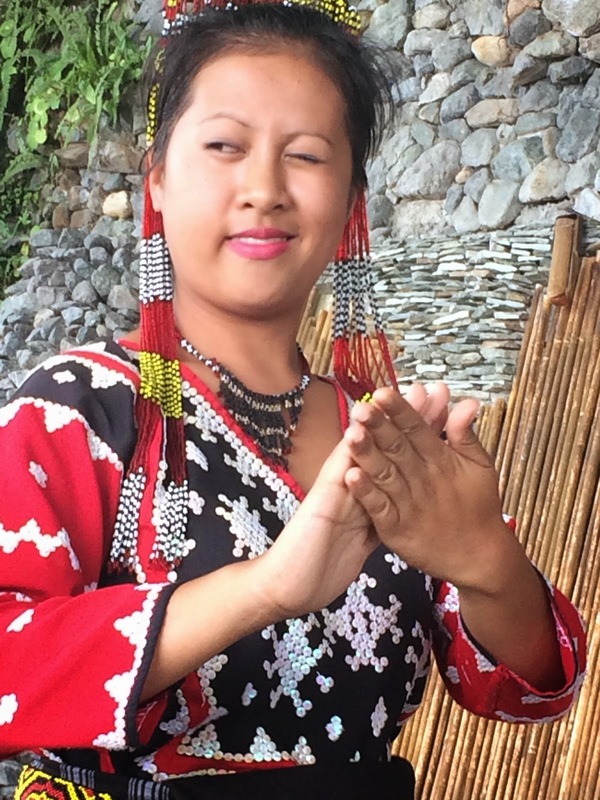 In that dance, the lady tried to attract a man by swaying and turning while smiling, winking and sometimes giggling. 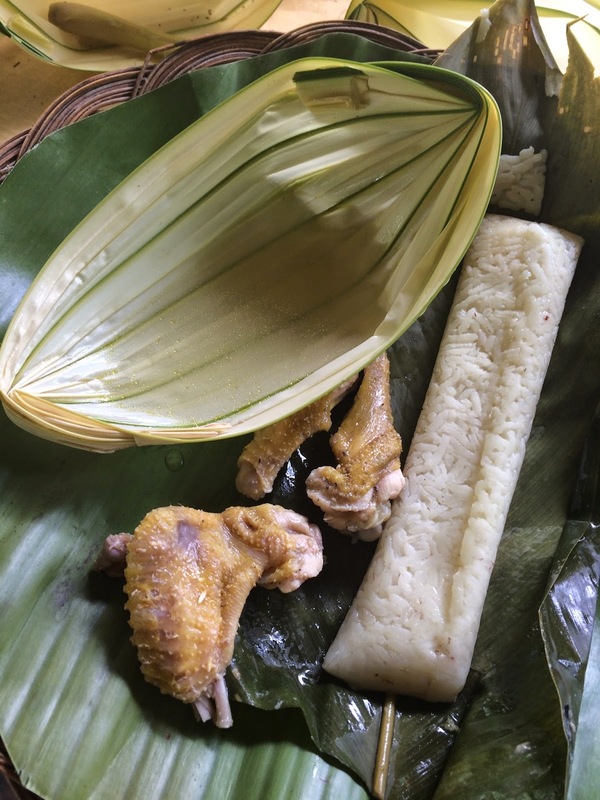 Punta Isla dubs itself as the best in Lake Sebu. It does give a spectacular view of the lake. The rooms are modest though. Do not expect white sheets, folded tissue papers and nice scents. The hot shower is working though and the beds are comfy enough. Plus, they are very kind though to accommodate my request for extra pillows so that I can elevate my left leg while I sleep. PWD concerns. We were allowed a few minutes rest then we took off to our next destination – the Seven Falls. One of the wonders of Lake Sebu are the Seven Falls. The first one, Hikong Alo, which is pictured below, can be reached via footpath. The main tourist drawer though are the ziplines, which stretch over four waterfalls -- Hikong Bente, Hikong B'lebed, Hikong Lowig and Hikong K'foi. The zipline ride is divided into two legs. The first leg is 740 meters long, while the second leg is shorter at 420 meters. I made the mistake of staring at my phone during the entire duration of the ride as I was shooting a video. But, if I paid attention, I would have seen the rainbow arching over the waterfalls. Anyway, it was still an exhilarating ride. After the thrills, we relaxed on a cruise of Lake Sebu at Mountain Eco Lake Resort. It was a perfect afternoon. 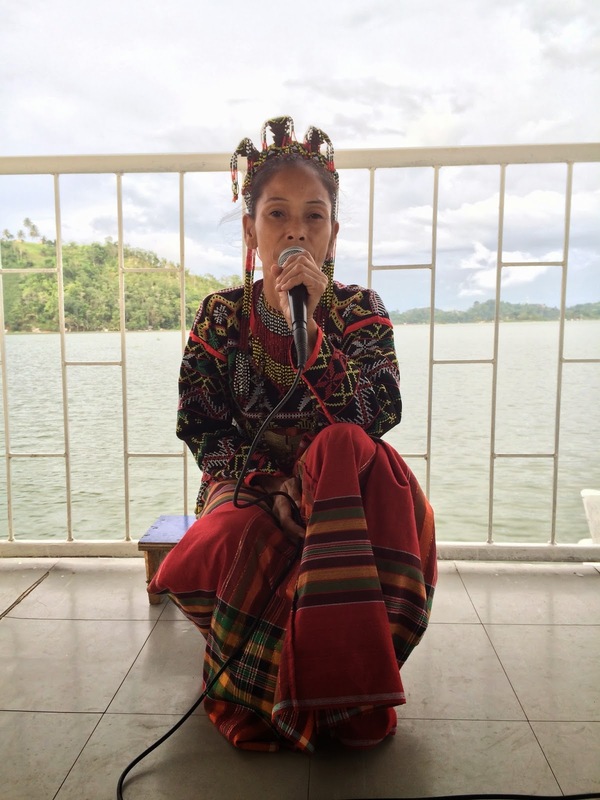 We were surrounded by the beautiful lake; served local delicacies and entertained by Y'egas, the chanting queen of Lake Sebu. The cruise had its own tour guide, who also briefed us about the culture of the T'bolis. This was followed by the cultural performance of Y'egas, who chanted about us, her guests and then performed traditional dances. Lake Sebu was the perfect backdrop for all of this. After the cruise, we visited L'ang Dulay. It was a bit surreal sitting in front of L'ang Dulay. 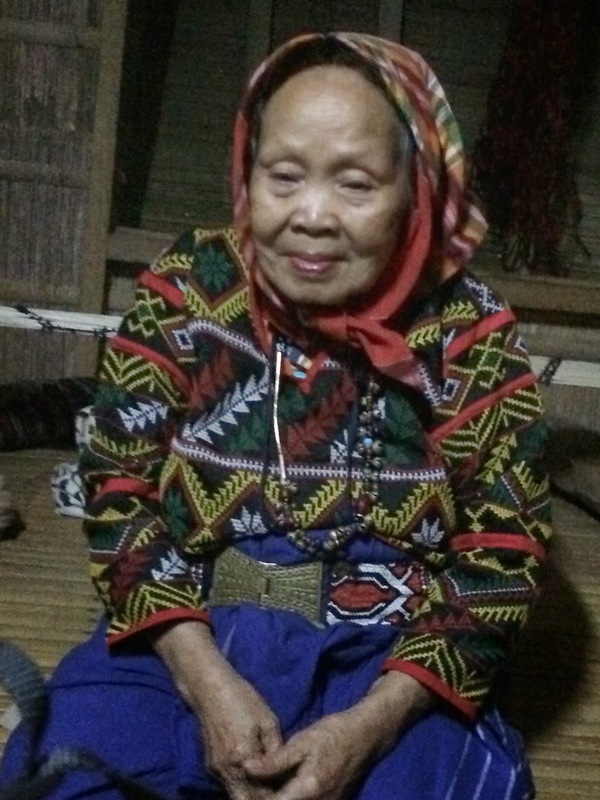 Even if she sat there quietly while our guide briefed us about her and her weaves, her presence held the room. Be L'ang Dulay is a dreamweaver. Her designs come from her dreams. 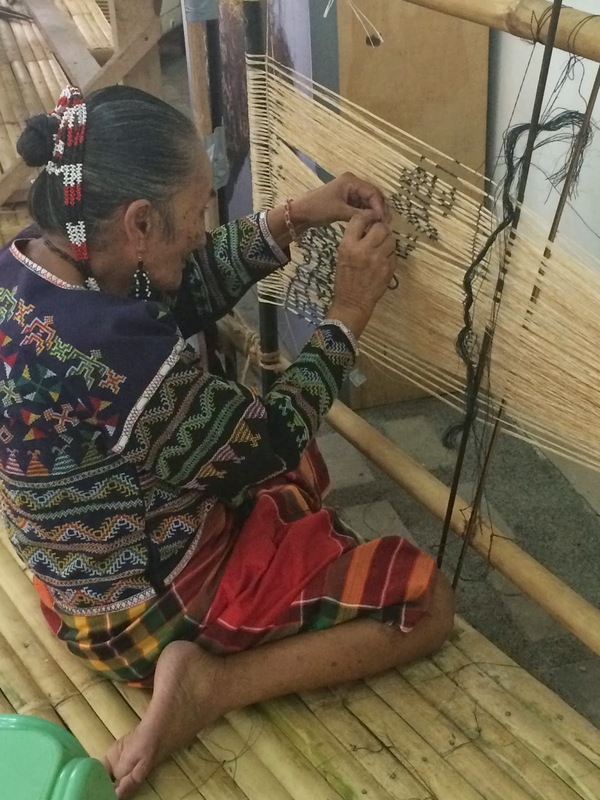 She started weaving when she was 12 years old and now, at 90 +, she is passing the tradition to younger T'bolis. Of course, I did not leave without my t'nalak. The ladies at the weaving center chose for me a design called Mebaga Kelagan, which is offered for sickness. It was already dusk when we left L'ang Dulay's place, the Manlilikha ng Bayan Center. Our last stop for the day was the School of Living Tradition, where we had dinner, capped by another wonderful performance of traditional dances by the school's students. The original plan was to stay here for the night but we were too many. So, I decided to reserve that for my next visit. In an SLT, a cultural specialist teaches students skills and techniques of doing a traditional art or craft. 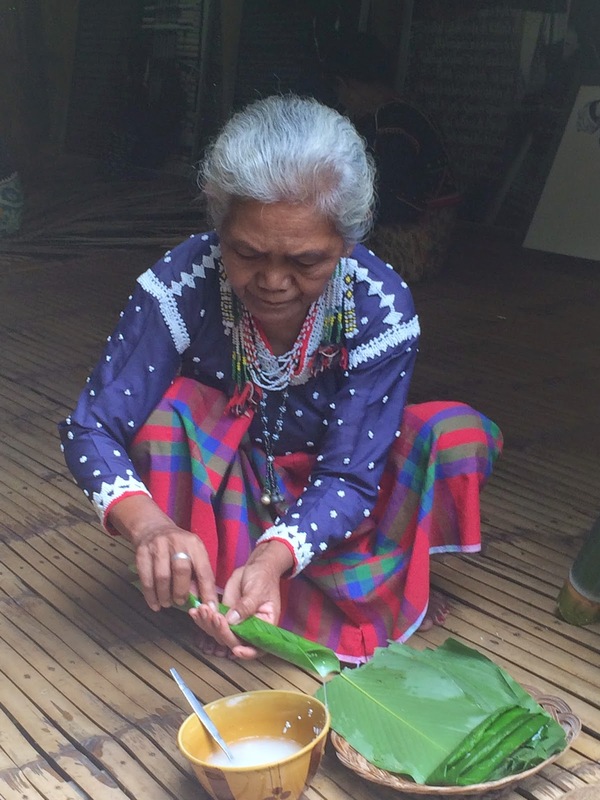 This SLT is run by T'boli cultural worker Oyog "Maria" Todi-Arroz. Our first destination for day two of our Soulful SOCSARGEN Tour was the first village museum of the Philippines. It was a three hour drive from Lake Sebu, passing by the starting point of our tour, General Santos City. In our itinerary, it was mentioned that we would first have a museum tour, followed by cooking demo, then a visit of the school of the B'laans. It seemed like a packed morning, but all of these are conveniently located in a small village. 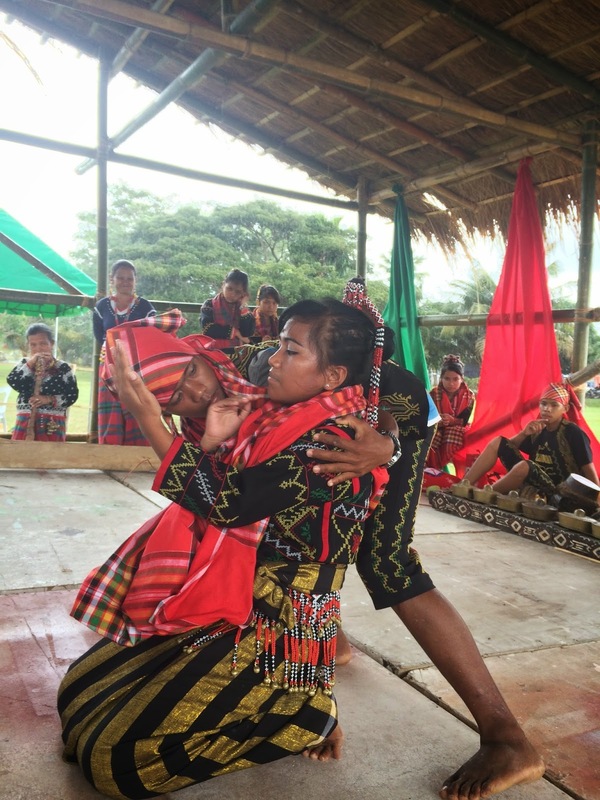 The Lamlifew Living Museum and School of Living Tradition is located at Sitio Lamlifew, Malungon, Sarangani Province. We arrived mid morning and we were welcomed by adorable kids performing traditional dances. After their performance, we had our cooking demo. 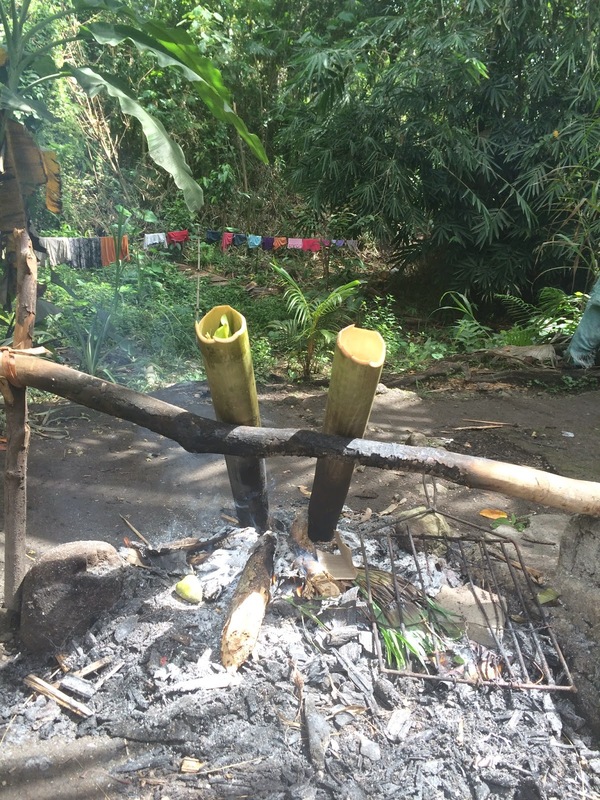 They slow cooked rice wrapped in coconut leaves and chicken inside bamboo poles. Of course, we had a sampling during lunch, along with other B'laan dishes and it was delicious. 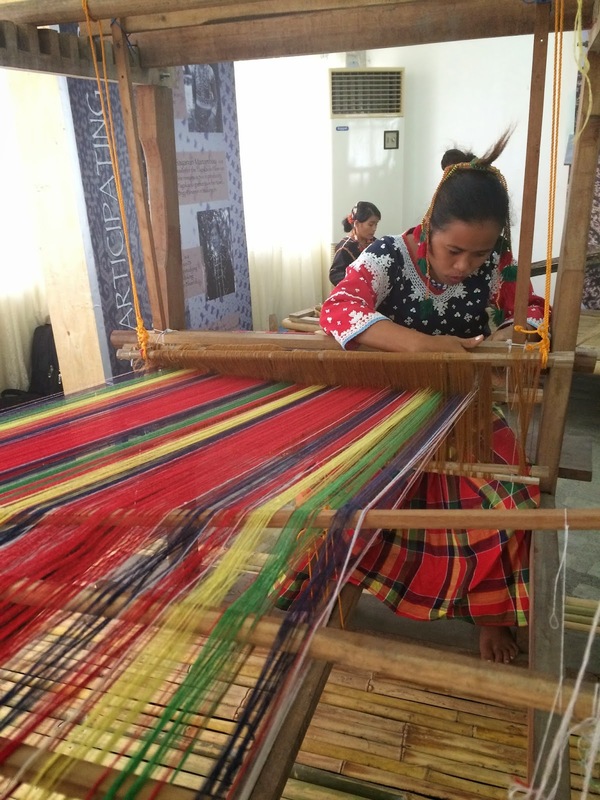 After lunch, we had our tour of the weaving center. 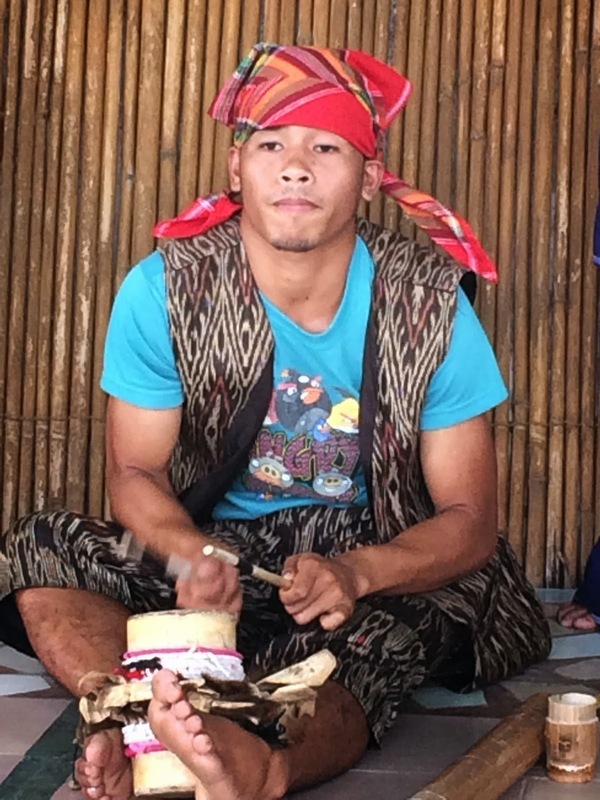 The B'laans are known for their brassworks, beadwork and tabih weave. 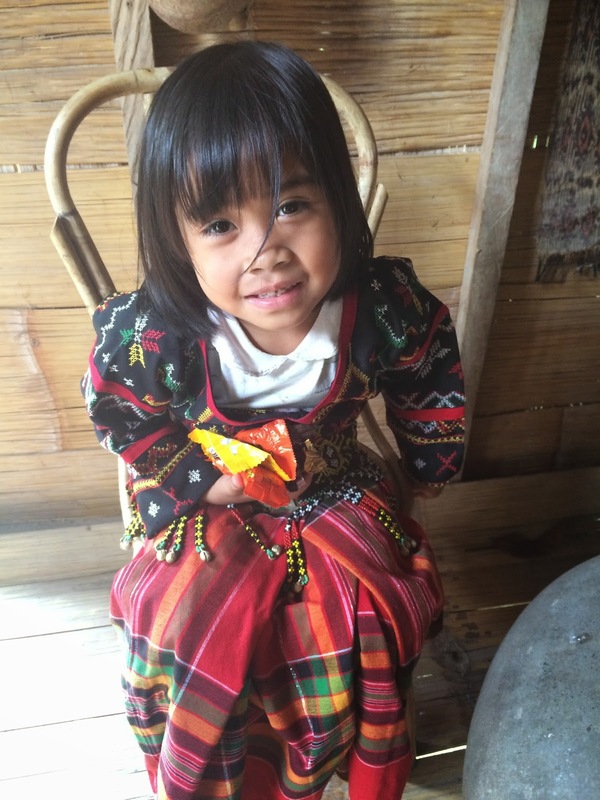 Like the T'bolis, they wear colorful embroidered native costumes and beadwork accessories. Theirs have tassels though. 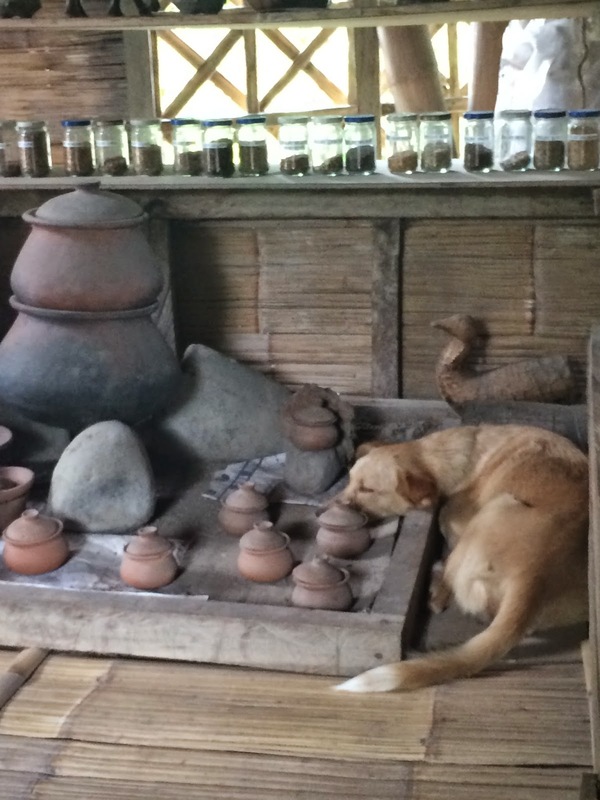 Then, we visited the museum, which displays B'laan artifacts in a traditional B'laan House. 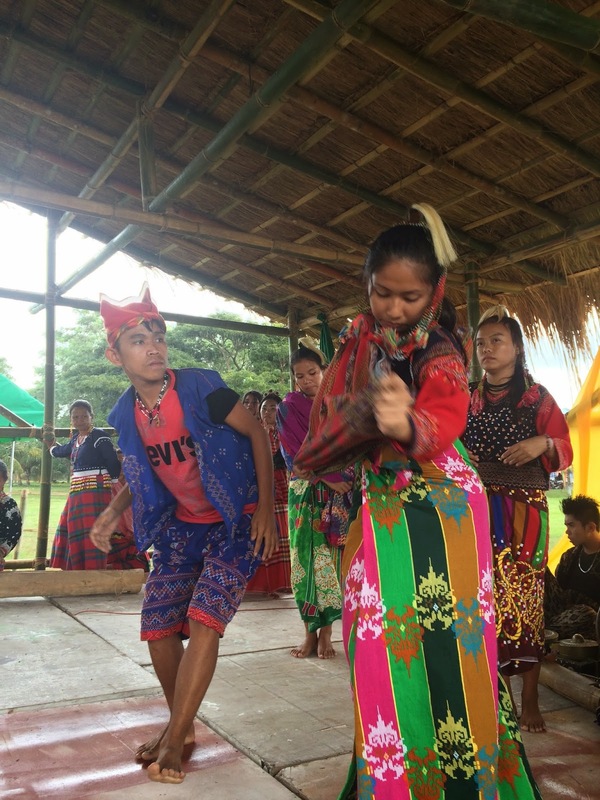 We were treated to another round of local dances. This time with the elders of the tribe. 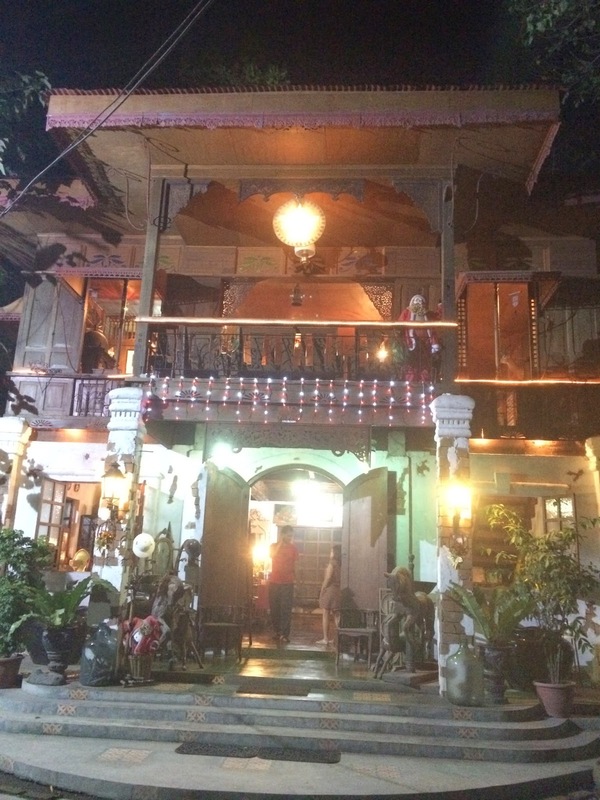 After Lamlifew, we visited Pacman's farm, checked in a Drigg's Pension House, rested, then had dinner at Manilay Ancestral House. It was actually odd finding this ancestral house in this young city. 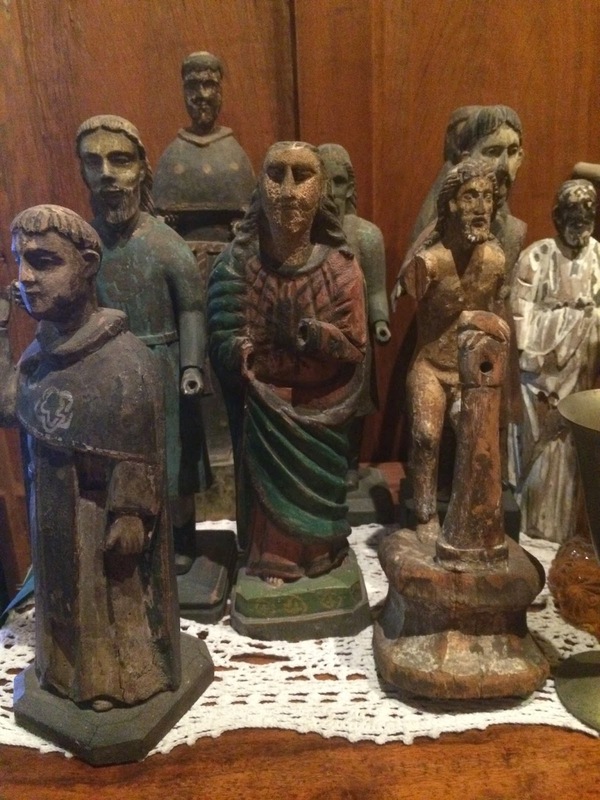 The ancestral house was purposely built by Mr. and Mrs. Warren Manilay from ruins of old houses in Laguna and Batangas to house their growing antique collection. Before dinner, we were given a brief tour of the house, which not only feature old cabinets, paintings and other memorabilia, but also vintage vehicles. 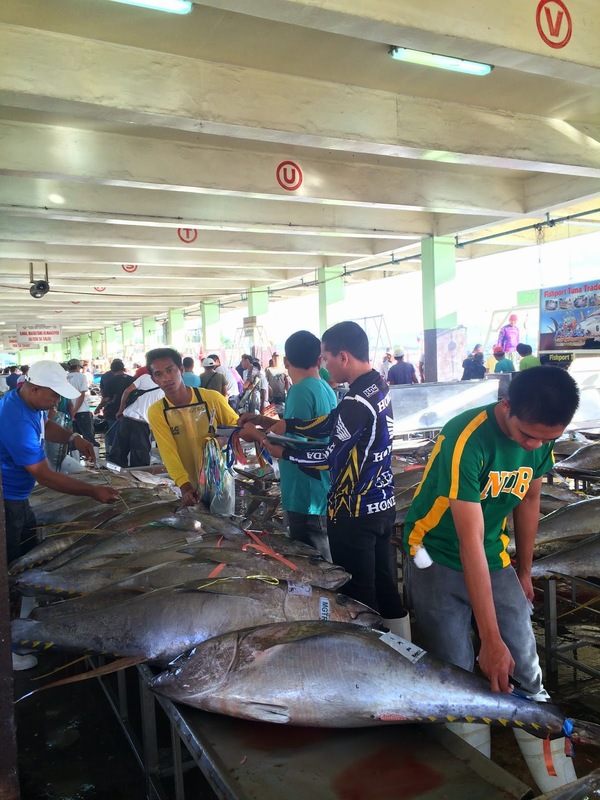 Among the first things that come to mind when thinking of General Santos City, nicknamed GenSan, are tuna and Manny Pacquiao. Well, we had a fill of that on the 3rd day of our tour. First stop was the tuna port. It was my second time at the port. 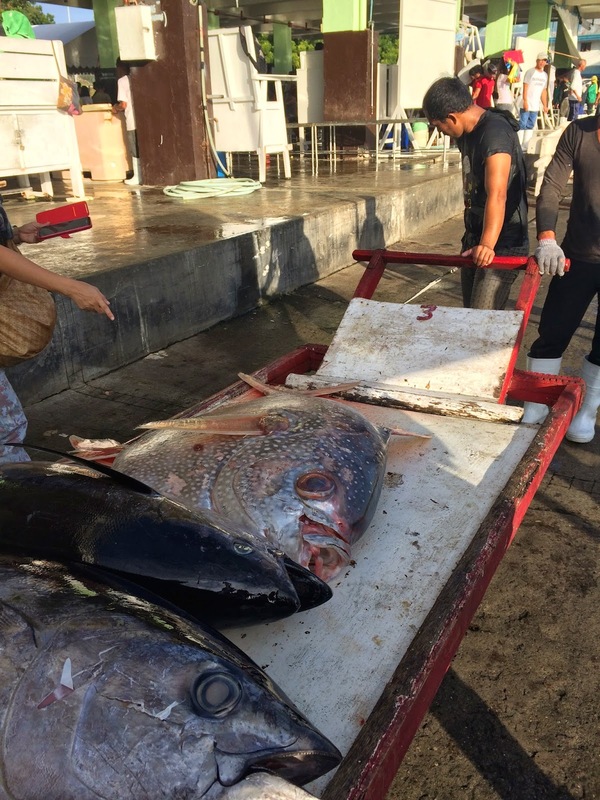 Take note that this is the Philippines' most modern and largest port devoted to fisheries. It has a really high standard of cleanliness and safety, so all guests wear boots provided by the fish port and are required to pass by a foot bath before entering. Anyway, after that, we passed by Pacquiao's stadium, then proceeded to the Notre Dame of Dagiangas University's The General Paulino Santos Museum, Inc. The museum features memorabilia from Gen. Paulino Santos who led the first settlers of General Santos City in 1939. 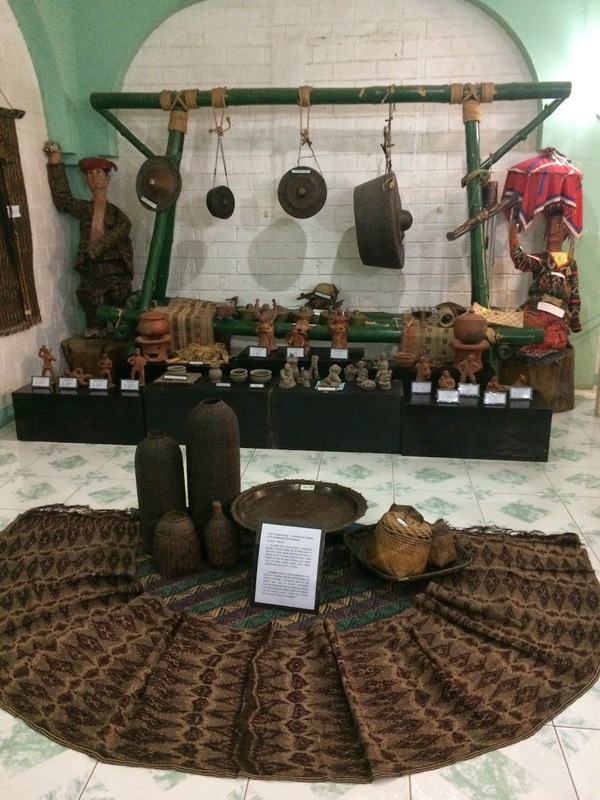 It also features some cultural artifacts and a designated section for popular sons and daughters of General Santos City, which of course includes Cong. Manny Pacquiao. Of course, my eyes were drawn to the Maitum Jars exhibit, which brought back memories of my Department of Tourism days. The Maitum Anthropomorphic secondary burial jars were discovered in Ayub Cave, Pinol, Maitum in Saranggani Province in 1991. 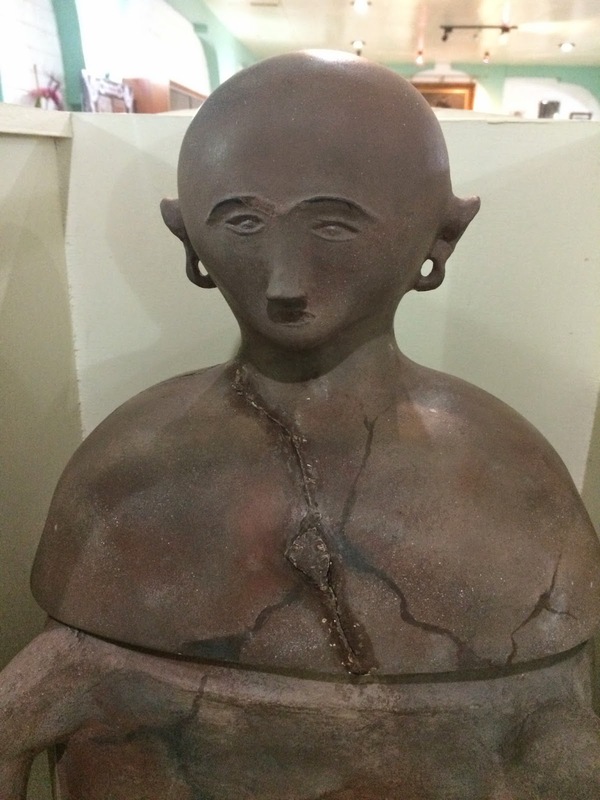 It was presented in an exhibit sponsored by the Department of Tourism in 1997 (or was it 1998?). 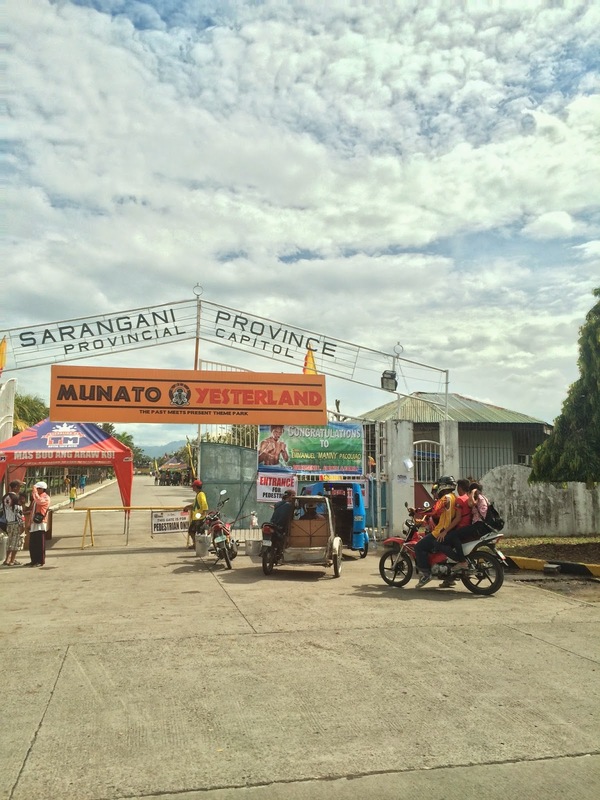 After the museum tour, we proceeded to the Saranggani Provincial Capitol for the MunaTo Festival. We were all excited to watch the street dance. But, it was disappointing. After all the promotions, what they presented was just two contingents - a marching band and this group below. It was definitely not the grand street parade I was expecting. 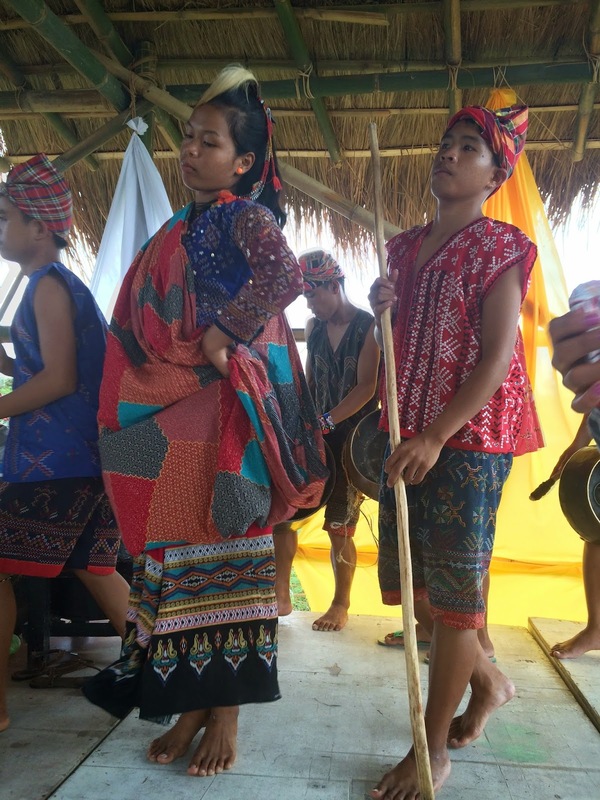 It was not a completely disappointing trip though because the festival also featured the MunaTos or the first people of Saranggani. The T'bolis and the B'laans were there. Plus, we also got to meet the Tagakaolo Tribe. 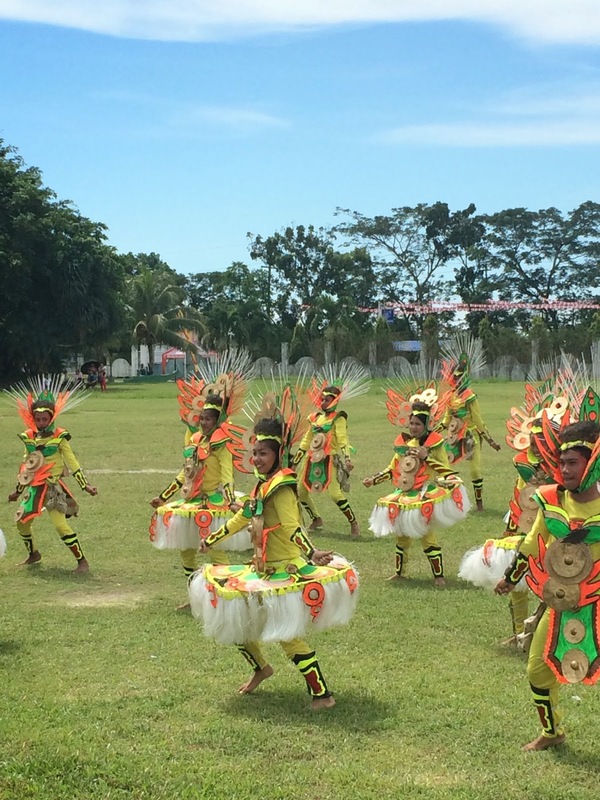 Their show featured their music, dances and chants. 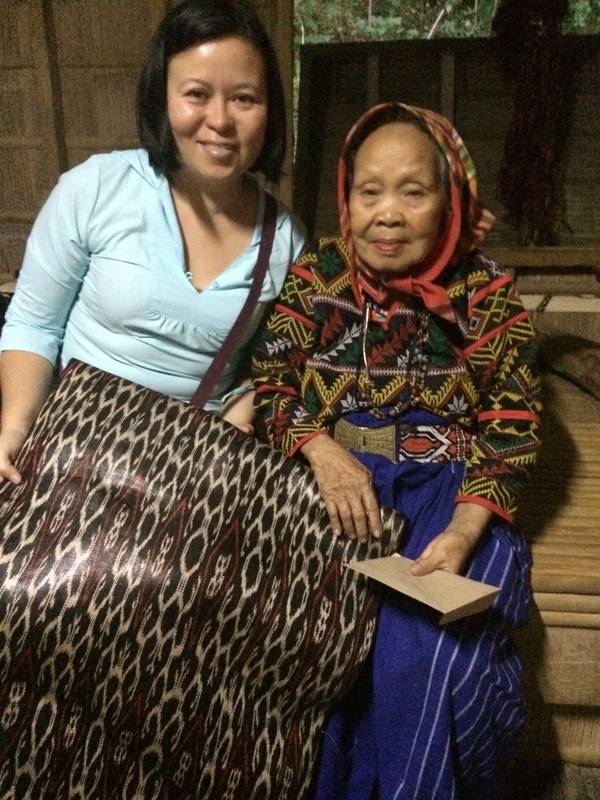 I was also happy to meet another master weaver, B'laan Fu Gusiye Buan, who is already 86 years old. 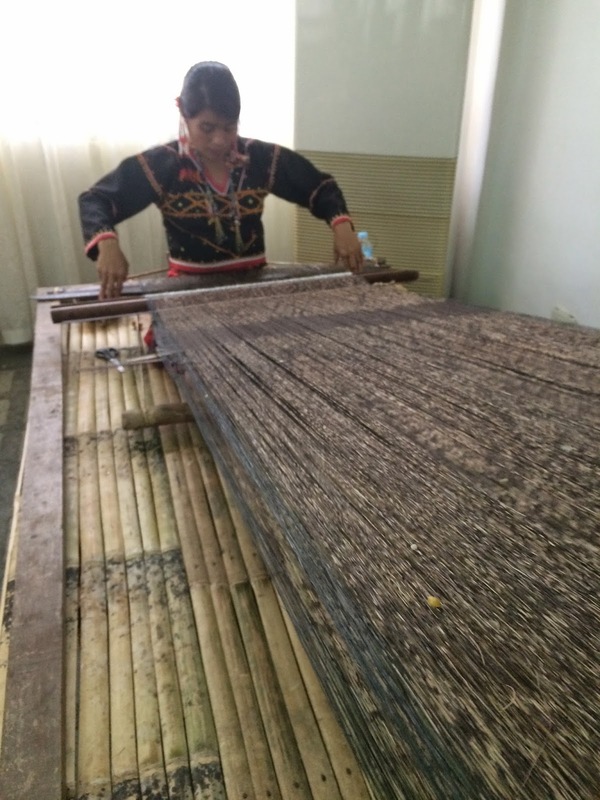 She is the only living active active weaver in Saranggani. 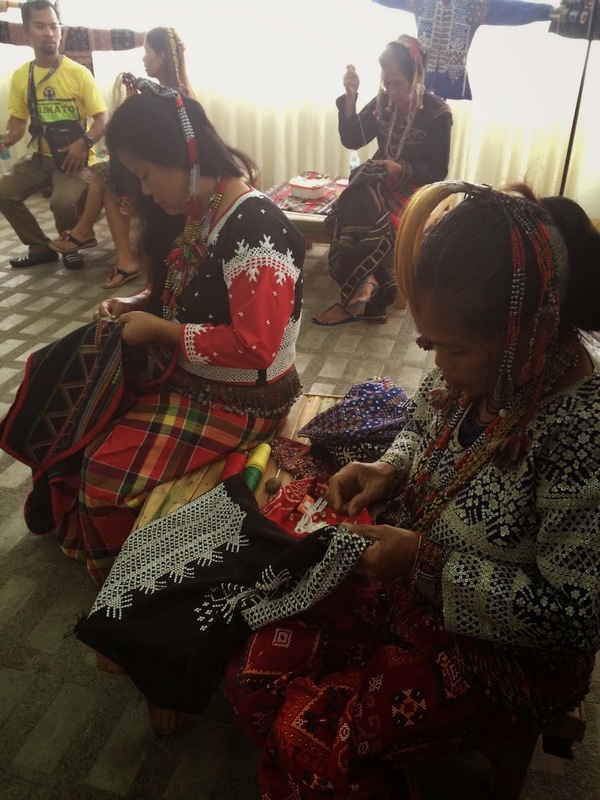 Fu Gusiye Buan was with other weavers and bead accessory makers at the Looms and Beads exhibit. 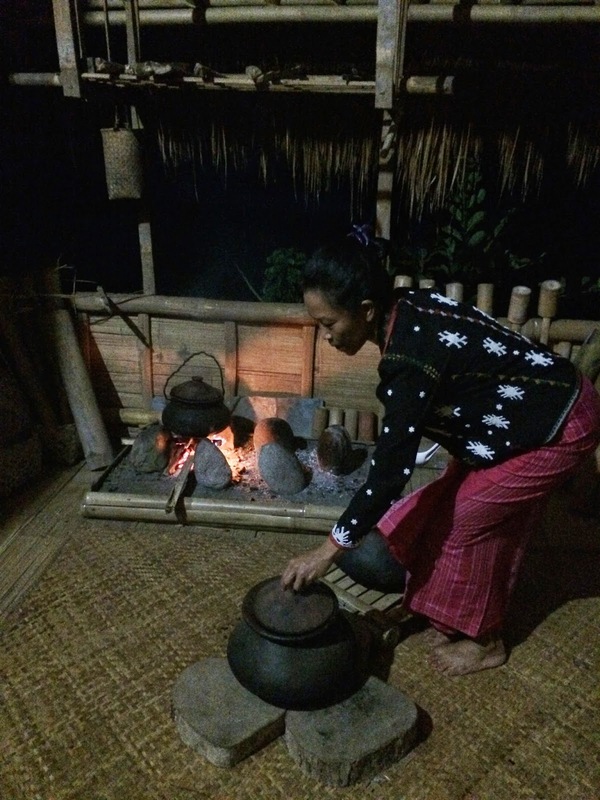 The festival also featured Moro cottages, which featured traditional wedding practices. The colors were so vibrant, I couldn't resist having my photos taken. It rained mid-afternoon so we just decided to go back to General Santos City for our much-needed rest. We stayed at Saranggani Highlands for our last night in SOCSARGEN. It was a Sunday and I capped my 3-day SOCSARGEN sojourn with a mass at the nearby Our Lady of Good Voyage and a sumptuous buffet at Sarrangani Highlands. Too bad though I had an ulcer attack so wasn't able to join the rest of the group for a nightcap and I had to wake up early the following day to catch my early morning flight. So, there you go. 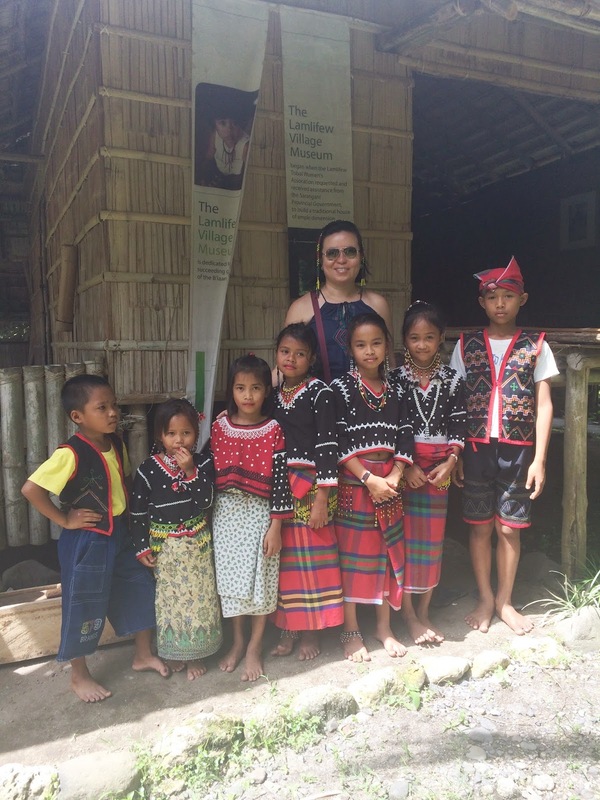 Though our 3-day trip was not enough to fully immerse myself in these very rich cultures, I had truly captivating glimpses of what make SOCSARGEN soulful.